Designing things together is a lot of fun, and serves a purpose too. 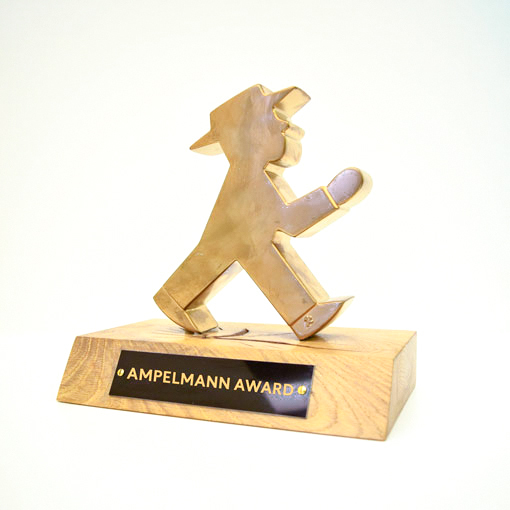 Whether it is games or sport, art or culture, or a good cause, AMPELMANN gets involved. 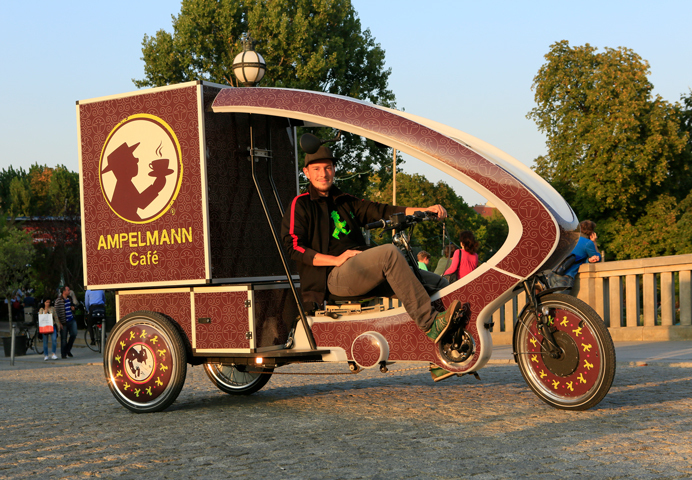 AMPELMANN has come across a wide variety of people on its journey from traffic signals to branded articles. 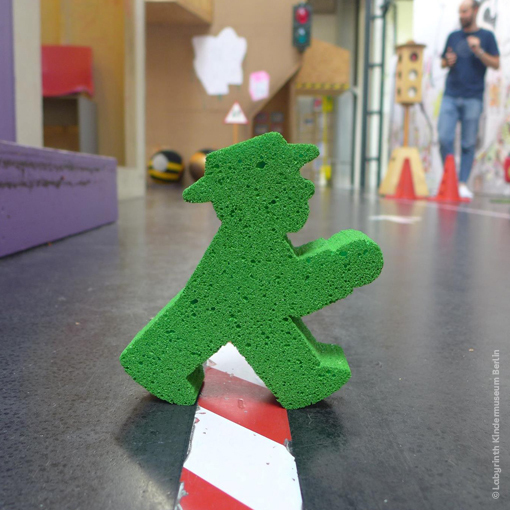 The familiarity and charisma of the Berlin Ampelmännchen inspire artists to place them at the centre of their works – and we at AMPELMANN are very enthusiastic about creative partnerships that are based on give and take on both sides. Artists and creative people from the worlds of film, literature, music or fashion put us in touch with new ideas. Thus, more and more iconic items and art objects featuring the Ampelmännchen are constantly being created, and they reflect the spirit of the times. 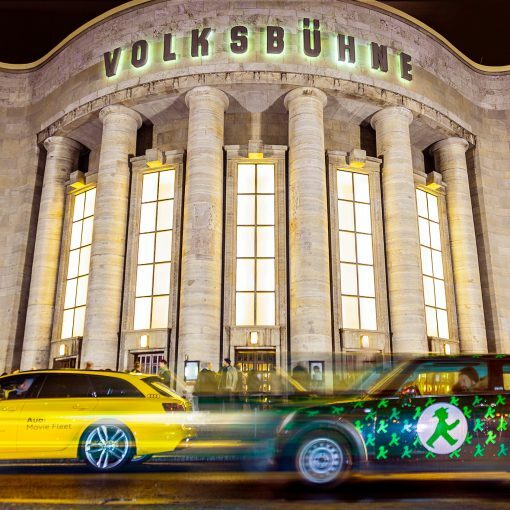 At AMPELMANN we are also pleased to support events in Berlin, and we initiate sponsorship activities of our own accord too, at which our popular little international figures always go down well. In 2017 we presented the AMPELMANN Award for outstanding commitment for the first time. When we make a commitment to a project, we believe it is important to show our emotional, heartfelt connection with it. We want to make a difference. We are always more than happy offering our support when the initiators themselves are passionate about achieving something for Berlin. We have supported the interfilm Berlin international short film festival since 2010, because it is managed on a tiny budget and with a great deal of initiative, and is a place where original people that we like to network with meet up every year. The great atmosphere and the good films are really inspirational to us – we recommend them warmly! 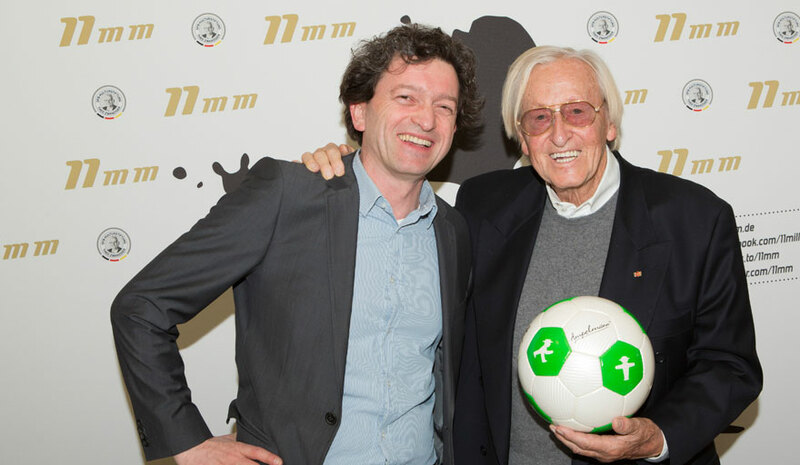 AMPELMANN sponsors the programme and provides the prize money for “eject” (the night of weird films), and donates the money for one of the prizes at the KUKI short film festival for children and young people, which is organised by interfilm. We also provide non-cash prizes and practical equipment (lanyards etc. ), as well as all the catering for the interfilm prize ceremony. Union Berlin is one of the best-known professional football clubs in the capital, and enjoys an almost cult status among many of its fans. Their war cry is “Eisern Union” ("Iron Union! "), one of the club’s nicknames. We have been the proud sponsor of the 1. FC Union Berlin football club since 2011. 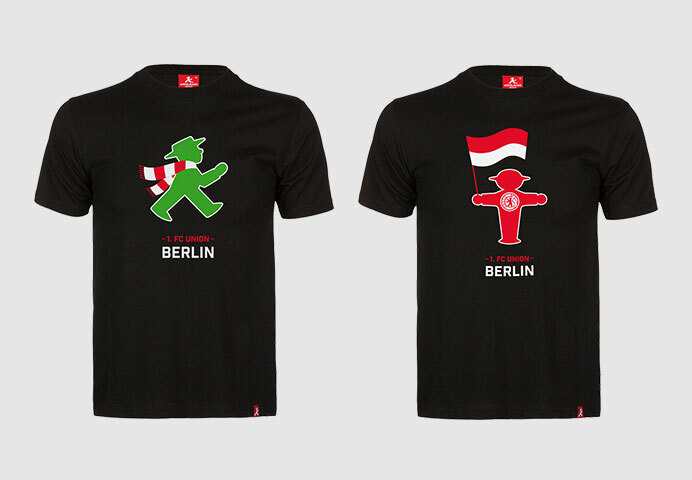 We see ourselves as two originals from East Berlin that simply belong together. AMPELMANN supports Union with T-shirts that we have designed together, in its youth work (a “sea of flags” campaign), on the field (substitute board) and at major events such as the “50 years of Union” anniversary. Click here for Union Berlin’s official site. 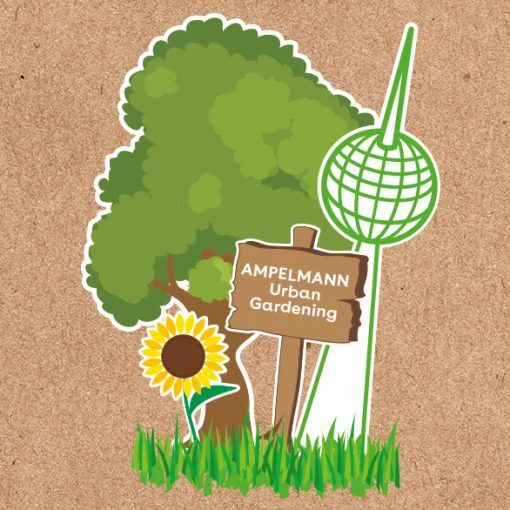 Here you can learn all about the AMPELMANN Urban Gardening and were the first plants grow. Because we care about our environment we make our internal tours through the shops in Berlin with an electric bicycle. Right, left or straight ahead: "Labyrinth Kindermuseum Berlin"
Experimenting, jumping up and down, touching, climbing, drafting, kneading , smelling, racing around, listening, watching, asking, shouting, rethinking or relaxing: All this provides the “Labyrinth Kindermuseum Berlin“. Children can easily test their limits, move around freely and see what works and especially how. 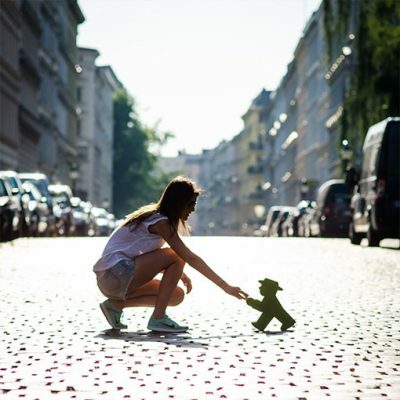 AMPELMANN likes exactly that approach: an interactive programme for children in the city. Children can test their limits, take on responsibility and develop self-confidence. We love to support this project – since August 2016. We contribute AMPELMANN products to the exhibition and practical things for the kids to play with. Enjoy, have fun and look around! Of course, the Ampelmann has already checked out the Labyrinth Kindermuseum and played with the kids. Take a look at the video. 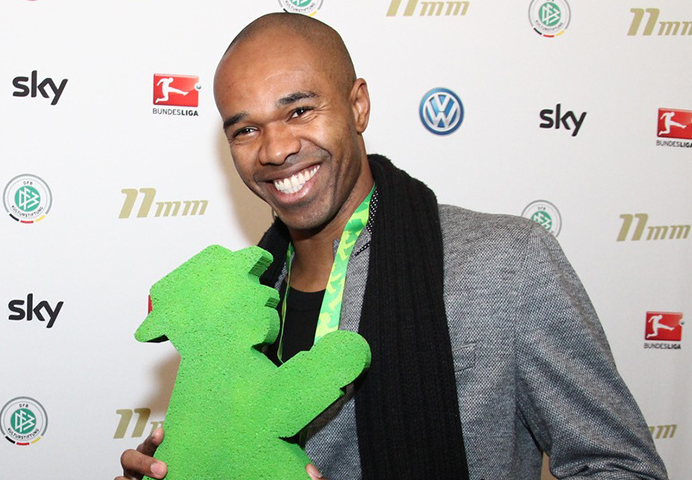 Naldo (formerly VFL Wolfsburg, now Schalke 04) has been guest at the 11mm Football Film Festival several times. Thomas Berthold, world champion in 1990, with Markus Heckhausen. 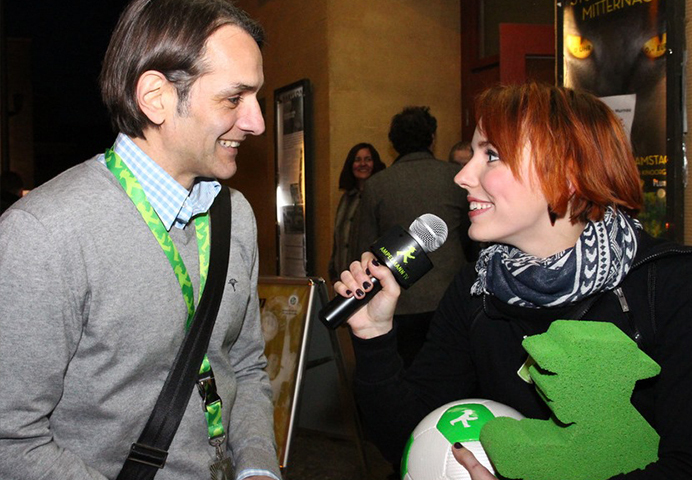 Andreas Leimbach-Niaz, one of the organizers of the 11mm Festivals, during an AMPELMANN TV Interview. Films and football, what could be better? 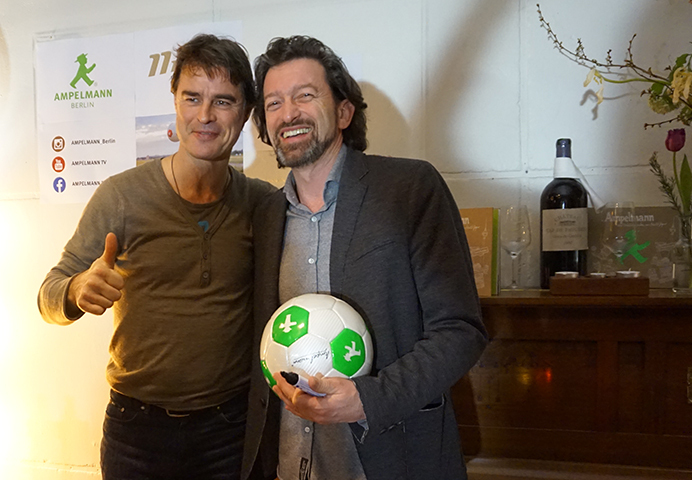 Since 2012 we have supported the 11mm Football Film Festival with prize money, products and catering. The great team at 11mm largely work on a voluntary basis, and over the years they have become very dear to our hearts. We are thrilled that their festival is becoming more successful as the years go by. This is also apparent from the prominent visitors: it is a place where football world champions, Bundesliga professionals, “underdogs” from the third division and fans from all over the world come together out of their love for football. And when AMPELMANN’s favourite, Torsten “Tusche” Mattuschka, comes along we all sing his song and give him the welcome he deserves. Click here for the 11mm website, here to see AMPELMANN at the 11mm Football Film Festival 2015 and here for the 11mm Festival 2016. 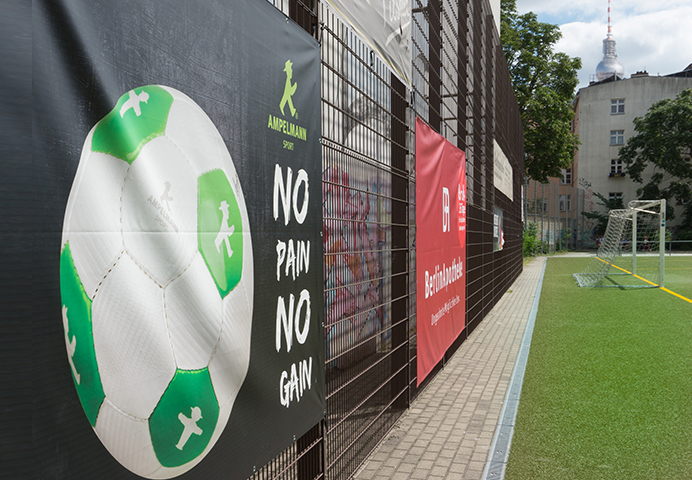 AMPELMANN has been the proud sponsor of this football club, which has its training ground in the heart of Mitte, since 2007. 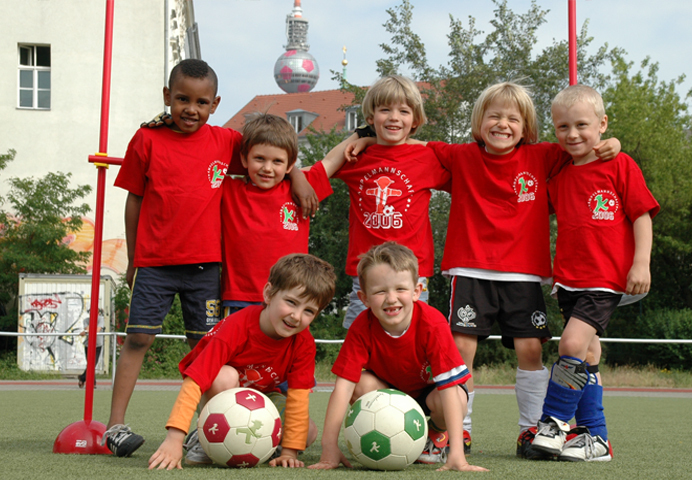 We support the youngest players with financial donations, training shirts and footballs. The SV Blau-Weiß Berolina “minis” appear in AMPELMANN jerseys. 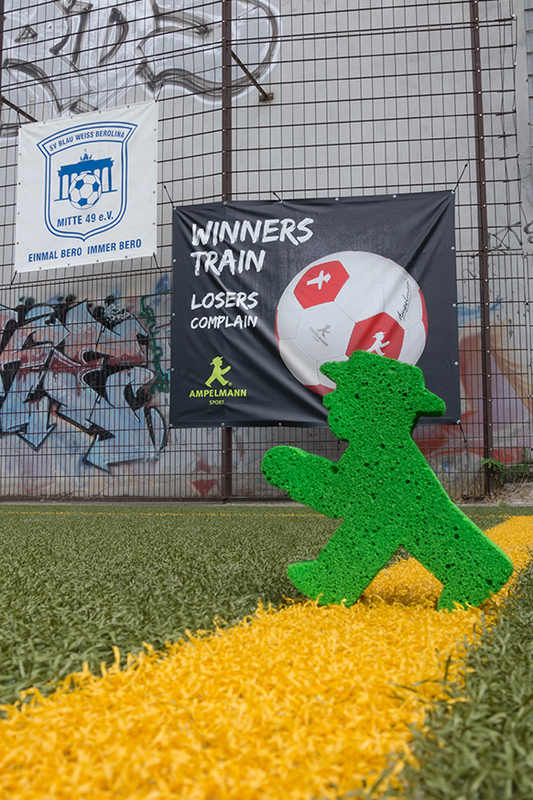 We also support the club’s youth work through perimeter advertising – for the kids and for Berlin. Katharina Krüger, winner of the women`s singles, started at the Paralympics in Rio for Germany . Tom Egberink was the runner-up and Maikel Scheffers the winner in 2016 . 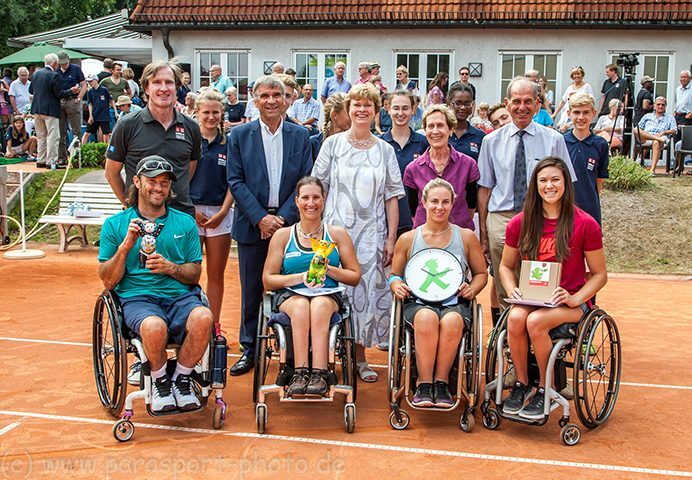 The award ceremony at the 28th German Open Wheelchair Tennis championship in 2016. 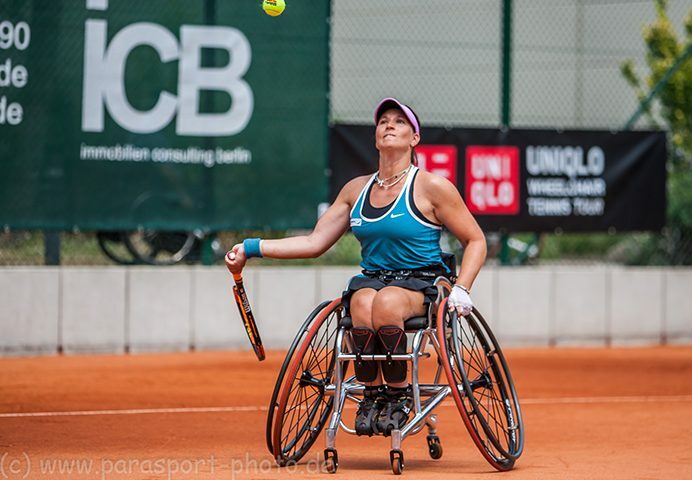 The GERMAN OPEN International German Championship is one of the more than 170 ITF (International Tennis Federation) championships worldwide for tennis players in wheelchairs. After Munich and Essen, this high-ranking tournament has been held in Berlin since 2011. 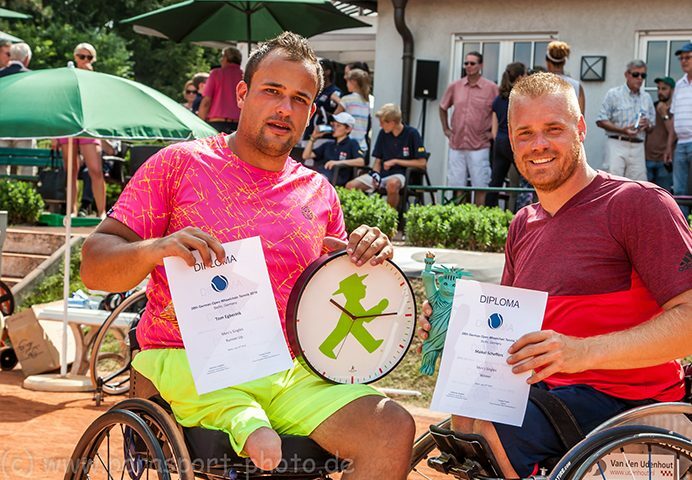 Two Berlin tennis clubs, BTTC Grün-Weiß and Zehlendorfer Wespen, who take it in turns to act as host, established the tournament, and every year they welcome a growing number of international guests and wheelchair athletes. 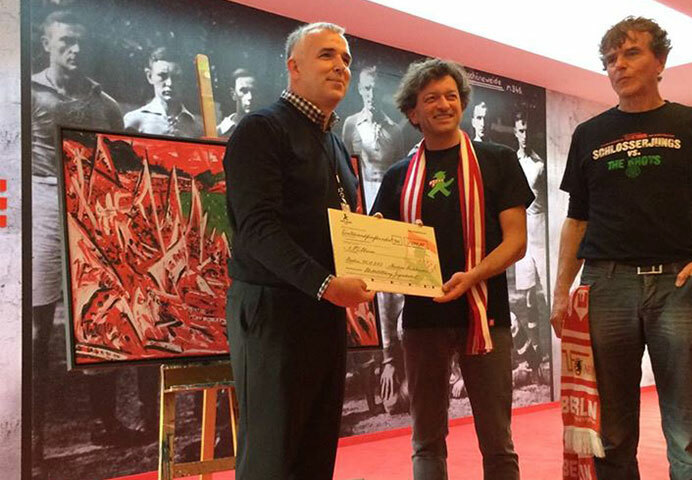 We are very proud to support this great commitment to sports and to Berlin. We also look far beyond Berlin and are aware of what is happening in the world. 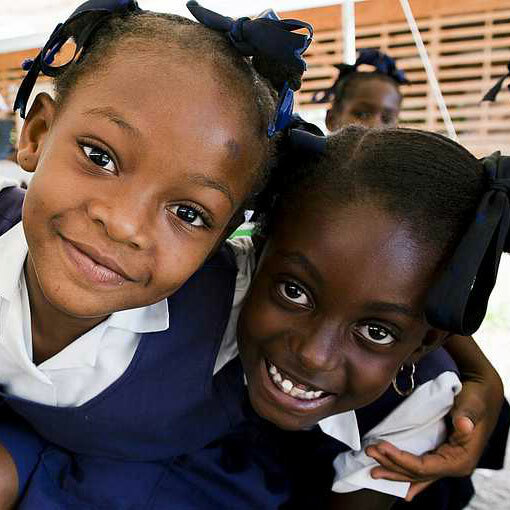 Since 2009 we have been supporting sponsored children in Haiti, starting with Marie Lourdie, who has now turned 18 (which meant the end of the sponsorship). Our current sponsored child Iveline was born in 2009 and speaks Creole, her father is a farmer and her mother is a street trader; the family is Christian. We will also support Iveline until she is 18. Our partner for these sponsorships is Plan International. We value the effort it puts in and the long-lasting effects of its work. As well as our sponsorships, we have also been supporting Plan International’s girls’ rights campaign since 2009.